Roger Federer knows better than anyone, at 36, it is as much about keeping a spark of motivation alive as it is about managing his body. Defeat then to the 175th-ranked Thanasi Kokkinakis in his opening match at the Miami Open, comes with a silver lining - the chance to rest and reinvigorate that hunger in time for the grass-court swing. The loss prompted an announcement that, for the second consecutive year, he would skip the clay-court season, including Roland Garros. It proved a masterstroke in 2017 as he went on to claim a record eighth Wimbledon title. Federer will hand over the No. 1 ATP Ranking to Rafael Nadal on April 2, having spent 309 weeks at the top during his career. That in itself presents a new goal for the season ahead - to reclaim his place at the top. “Yeah, I decided not to play,” Federer said of the upcoming clay-court season. “I didn't play great last week either, I felt, overall. Nothing new, in my opinion. I'm trying to figure things out, so. I have time now. “I'm a positive thinker. I feel like every match is another opportunity. Especially after losing one, clearly I'm down right now. I'm disappointed. I'm frustrated a little bit that I couldn't find a way. It's unfortunate how it goes. The 21-year-old Australian's 3-6, 6-3, 7-6 (4) victory drew high praise from the Swiss. This was an opponent Federer had spent time training with at his Dubai base, a player who had endured more than his share of injury hurdles in his young career. “Look, he's a cool guy, a cool demeanour,” Federer said. “He's been to Dubai to practise with me a couple of times. I knew him very well. We have worked very hard together. I've always liked his game. Not since 2014 when he lost the Monte-Carlo final (l. to Wawrinka) and first round in Rome (l. to Chardy) had Federer fallen in back-to-back matches. Coming off a narrow defeat in the BNP Paribas Open final (l. to Del Potro), a match in which three championship points went begging, Federer admitted that he struggled to sink his teeth into his opening match in Miami. Still there was plenty to be upbeat about. 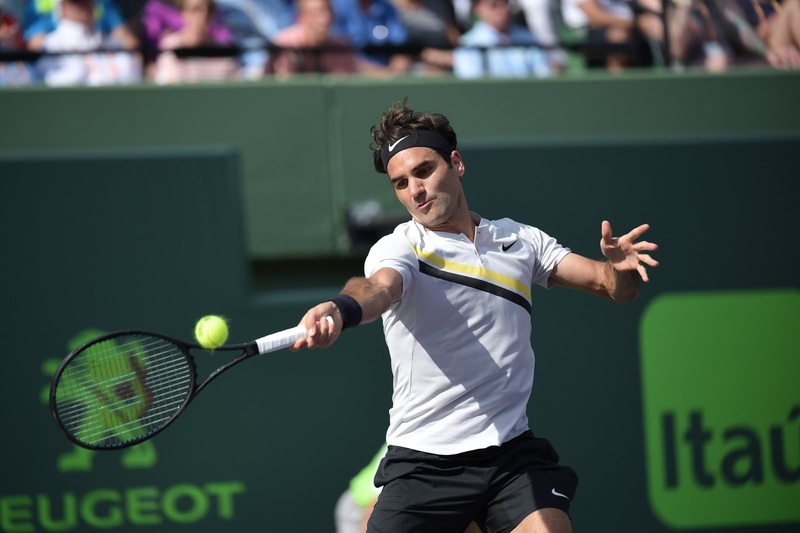 His semi-final victory over Borna Coric in Indian Wells gave Federer his best start to a season (17-0). “Honestly, in the third set anything could have happened. I feel like I wasn't feeling good. The ball, I wasn't feeling. With my movement, things weren't absolutely working,” Federer said. “I felt like the third set could be a tricky one, of course. I feel like every time I had chances, something bad happened for me, wrong decision making by me, good decision making by him. Who knows what happened. It just felt like I could be paying the price for opportunities missed. “Look, it's disappointing. I don't know why I could never get to any level that I was happy with today. Sometimes you have these matches. Sometimes you find a way through. I just couldn't get it done today.